I’ve just finished a stint with my son’s band. They needed a drummer for the summer and it led to a couple more gigs in the fall. It’s all wrapped up now, but in the process of filling in for them I learned a lot. Let’s just say they’re sticklers for tightness! Use a Metronome through the PA or in-ear monitor system and turn it up loud! Find the right tempo for each song and practice with the metronome featured prominently. If you’ve never done this before it will be a steep learning curve. You may get frustrated and want to turn it off. Stick with it. You won’t always have to play to a metronome, but it will show you where you’re weak. Let it help correct tempo shifts in your playing and get your groove together. If playing to a metronome is old hat to you, take it to the next level. 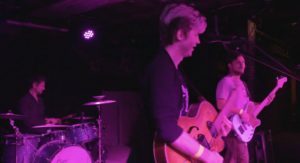 Listen to where each band member is playing according to the beat. Some members play ahead of the click, some play behind. If you can discern where your band mates are playing in relation to the click and make adjustments, you’ll see an improvement in feel and cohesiveness. Sometimes a new song feels great when I am practicing it by myself. But, when I present it to the band it loses that feel. Usually that’s because each member is relating to the tempo differently. If a song doesn’t feel right and you’re not sure why, examine the tempo of each band member and you might be able to get it back on track. Some songs pull guitars out of tune easier than others. If you know where those spots are in your set you can work in a quick tune. Always set up your guitars with new strings before your show. Old strings go out of tune quickly and sound dull. If possible set your guitar up a few days before your gig and break the strings in a little before you play your set on stage. If you do start a song and you notice you are out of tune, try tuning on the fly. I can’t tell which string is out of tune, so I’m never going to attempt this, but I know people who can do it. I would never recommend stopping a song to tune though. I saw a band do this on stage the other day. It wasn’t terrible because they were charming about it, but I would lean away from that. Entertainment is magic. When the audience sees behind the curtain a little mystery is lost so keep the mystery if you can. While I was learning the songs for my son’s band I had to change some of the fills the previous drummer had created. I just couldn’t play some of the fills he’d dreamt up. As I was doing that we started listening more deeply to the songs. Some of the parts I couldn’t play were actually better simplified. One song opened up and sounded super groovy with a very simple drum groove. I tried to learn the old way, but it was laborious and I was afraid I would never be able to master it. When I eased up and listened to the groove, the song was there, underneath all that complexity. Simplifying is a really good way to tighten up. This goes for everything in life. What you can barely pull off on your best day in rehearsal is not something you should try on stage. In practice I can shoot my bow sixty yards, but I would never attempt that on a deer in the field. In aikido practice, I’ve managed some pretty complex techniques I would never attempt during a belt test. Any band at any level can use these 3 concepts to improve. Play in time, play in tune and simplify. If you’re band is feeling sloppy, scale it back to the fundamentals. Whether you’re a drummer, guitarist or a bass player, we can all scale back. In almost every case playing less notes sounds better. Every once in a while a guitarist can shred a solo, but consider whether the guitarist is shredding because it’s great for the song or great for his ego. Always play for the song. 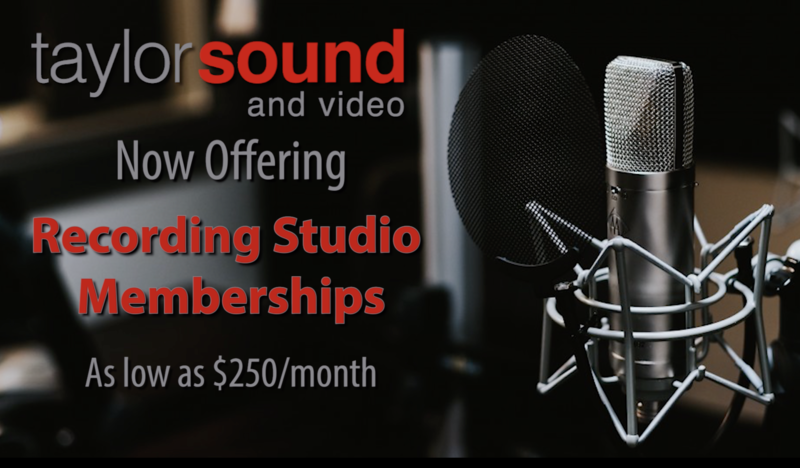 New DIY Recording Packages – Record your own projects at Taylor Sound.